My junior year was greatly shaped by my decision not to spend a semester abroad. 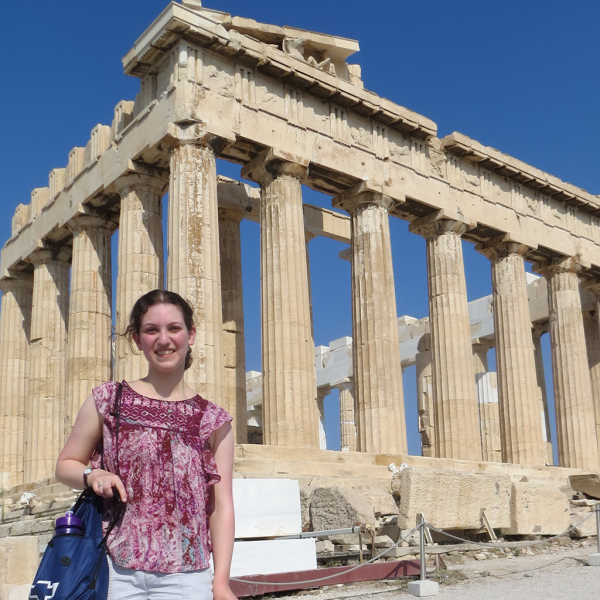 I always assumed I would go abroad since I love traveling to new places, but by the middle of my sophomore year, college seemed to be going by incredibly fast, and I was struggling to find a program that served both of my majors in a meaningful way. Gradually I realized that many of the opportunities I cared most about would be better served if I stayed at Kenyon all year, and I have never regretted that decision. 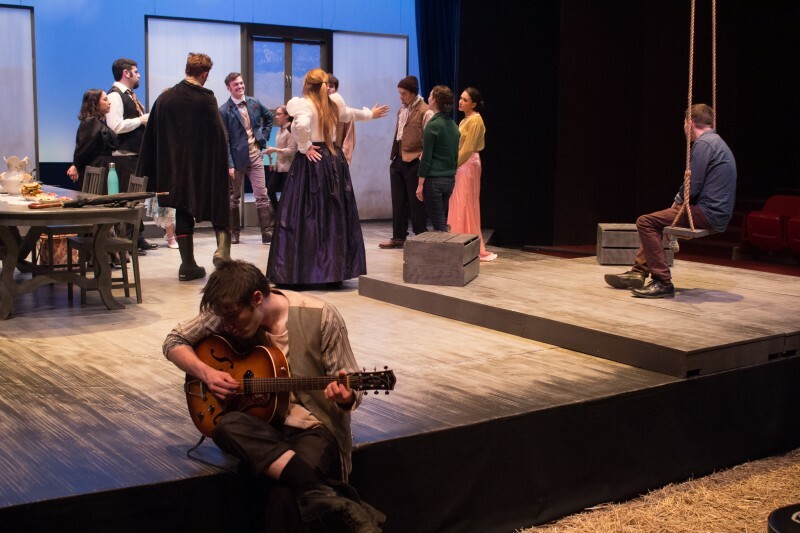 From enrolling in two incredible history seminars to assistant directing a production of "Uncle Vanya" that spanned both semesters, many of my most treasured experiences of this year would not have been possible had I gone abroad. The production of "Uncle Vanya" that I assistant directed this winter. There have certainly been times when it’s felt weird to be one of the only people left on campus from a certain friend group or activity, but I’ve enjoyed getting chances to hang out with some other people and to take some downtime for myself. After five semesters of nearly non-stop activity, the chance to take some more personal breaks has proved quite refreshing. When I decided not to spend a semester abroad, I promised myself I would find other ways to travel and partake in off-campus programs. I spent part of last summer participating in an incredible two-week program in Greece that combined theater workshops and historical site visits, and this summer I will attend a training program for theater directing in Connecticut. I’ve also found fun ways to briefly get away from Gambier. 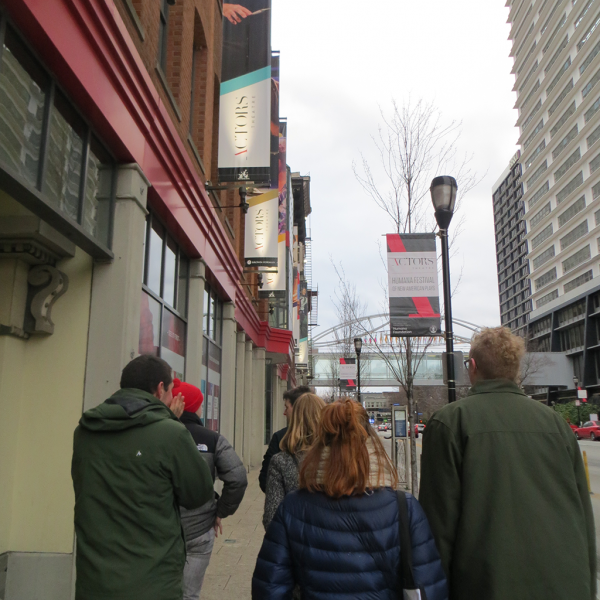 Over spring break I crisscrossed several states when I visited Boston for a job shadow and then met up with members of Kenyon’s Dance and Dramatic Club for a weekend at the Humana Festival of New American Plays in Louisville, Kentucky. Additionally, I enjoy venturing off the Hill once a week to volunteer in the nearby East Knox public school district. No matter the distance, each off-campus excursion has increased the relevance and expanded the scope of all that I’ve learned at Kenyon. This spring I traveled to the Humana Festival with KCDC. I’ve done a lot over the past three years, but nevertheless my friends and I are starting to feel the crunch to complete our Kenyon bucket lists: I’ve hardly been to the BFEC since Pre-Orientation. I wish I’d had fewer rehearsal conflicts with the many incredible speakers who have come to campus. Will I ever find time to bring my friends to the great restaurants and shops I discovered with my parents when we drove through Amish country? My roommate and I recently agreed that we should try to attend more events together as seniors. There’s a lot we want to fit into a single year, but if we start planning now I think we’ll be well-positioned to make it a great one. As I start to assemble the production team for the senior drama thesis play I’ll be directing in the fall and brainstorm topics that I might research for my history comps, it feels almost like senior year is already upon me. Especially as a double major I know that I’ve got a lot of work ahead of me, so careful planning will become an even more important part of my life ( … if that’s possible?). This time last year I knew my broad career goals, but was unsure where I wanted to be headed right after graduation. At no point this year did I specifically sit down to figure out a master plan, but between info sessions on campus and networking opportunities elsewhere, I have gradually gathered information that makes those decisions clearer. I’ve realized the breadth of academic and professional connections I’ve cultivated throughout college so far, whether or not I was aware of it at the time, and I am hopeful that these relationships and more like them will lead me toward the internship and job opportunities I’ve chosen to focus on. On the whole, I have found junior year to be my most balanced so far. I have no doubt that senior year will bring new adventures and challenges, but looking back on all that I have learned and achieved at Kenyon so far, I feel well prepared and eager to meet them.